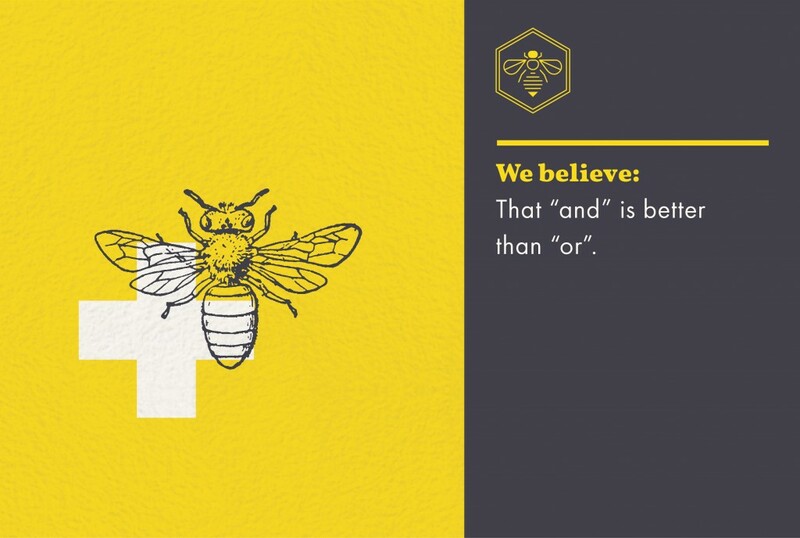 I’m happy to present a new series of graphic blog posts, based on statements of of our core beliefs (or bee-liefs). These statements (11 in all) have emerged in an iterative way over the past few years, as Honeybee’s work has continued to emerge and evolve. Whenever I’m at a crossroads, I go back to this simple list to test new decisions, new ideas, new endeavors. Does the opportunity ring true when tested against these beliefs? Is there something missing that needs to be added, or something a bit off-base that needs redirected? Stepping back from entrepreneurial logistics and tactics to re-center on this list from time to time has helped us to stay on a path that is steady and true, even while there is tumult and change and distraction all around. I hope that you find inspiration through this series to reflect upon your own core beliefs, and to incorporate them into your own decision-making processes. * With great thanks to the fantastic team at Guts and Glory for creating these images! For the full series of our belief statement images, please visit our Pinterest board here. ©2014 Honeybee Capital Foundation. All rights reserved. Designed & Developed by Guts & Glory.